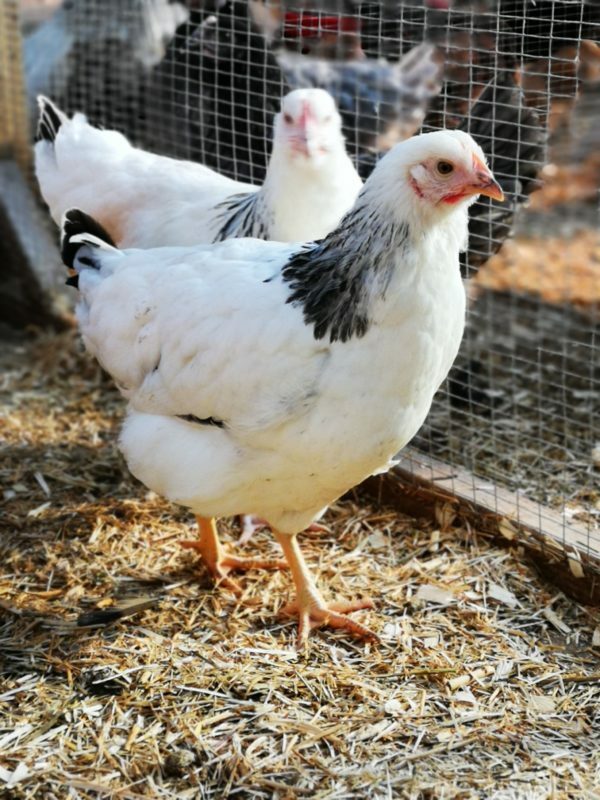 Light Sussex hens, being larger than their fellow Hybrid breeds, are classed as a dual breed – meaning they are for both meat and eggs. They are a white bird, with a black collar and black tail feathers. They are a pretty bird, laying 260 – 280 large eggs per bird, per year. 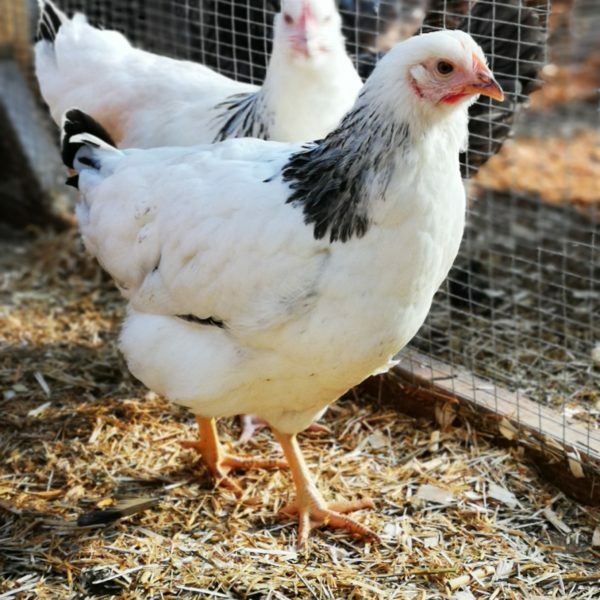 As a Hybrid, they rarely become broody – although it’s not unheard of! 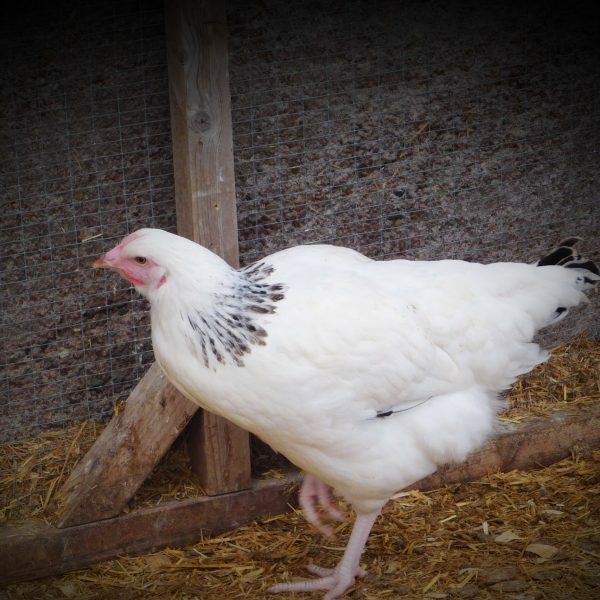 Their breed is a mixture of a Commercial Sussex cockerel and slow feathering Commercial Sussex hens. 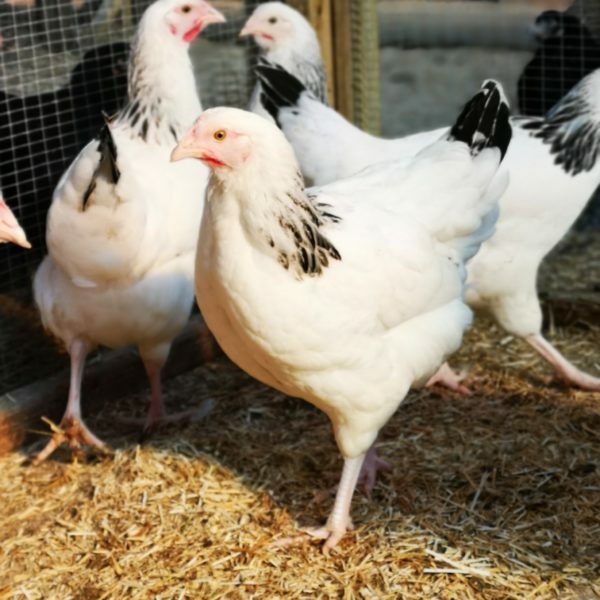 All our Hybrid birds are fully vaccinated against common poultry ailments, as well as from mareks, coccidiosis, infectious bronchitis and salmonella to mention just a few. They are reared to R.S.P.C.A. Freedom Food Standards. Please feel free to view with no obligation. We are here to help and offer knowledge and advice. Although if you visit with intent to purchase, we do ask you bring a form of transport for your new birds if possible, just in case!